Travel hacking, a.k.a. using miles and points for travel, shouldn’t be done haphazardly. Especially in the beginning, setting a travel goal and staying organized are important steps to using miles and points effectively. 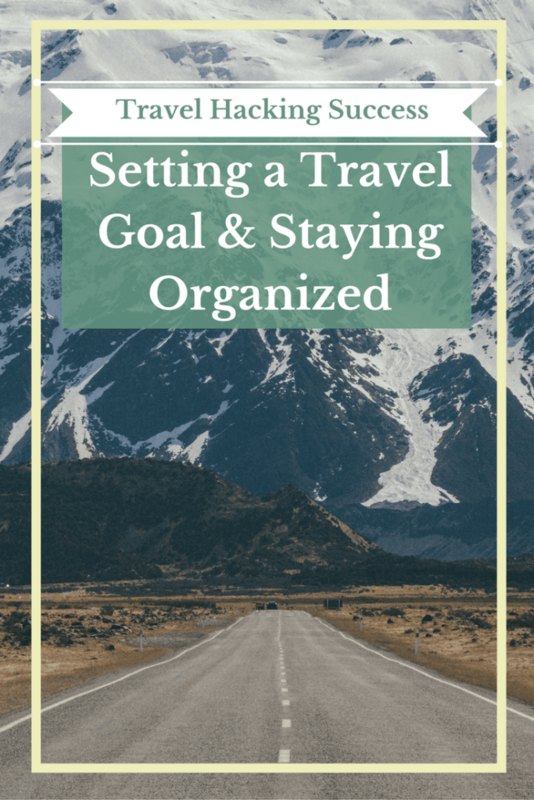 How do I set a travel goal? 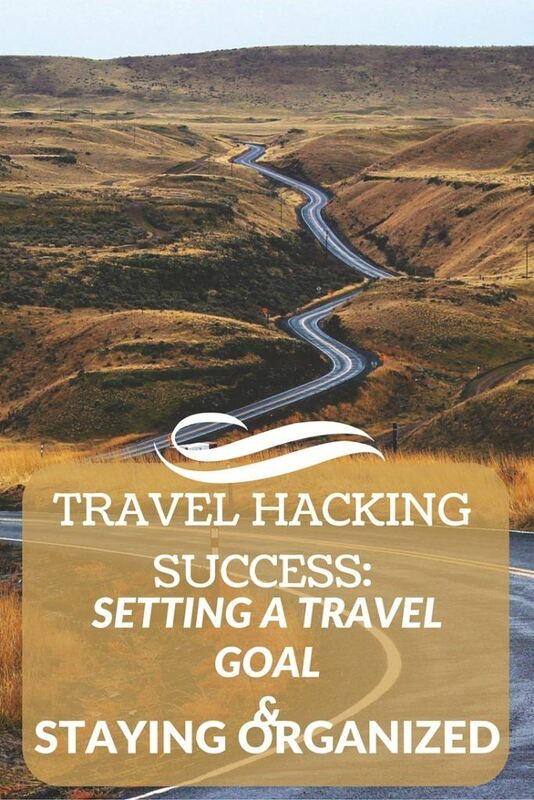 The key to beginning with travel hacking is to start slowly, with 1 or 2 goals. The expression, slow and steady wins the race, definitely applies here. Start with asking yourself a few key questions. Is your destination domestic or international? What type of climate do you want to be in? What kinds of activities do you want to do? Or perhaps, you’re looking for a place to getaway and relax. Knowing the answers to these questions helps you work toward your goal. Are you traveling solo, as a couple, or with kids? Traveling on your own will obviously require the least number of miles and points. If you’re traveling as a couple, how can you coordinate to reach the amount of miles and points collectively? If you’re traveling with kids or a larger group, will it be enough to earn enough miles and points to cover some of the cost or do you want to wait until you have earned enough for everyone? Are you planning a family vacation? Do you want to fly in first class or are you ok with economy class? Your travel style and what you’re comfortable with is also important! After all, you want your travels to be enjoyable! Is there flexibility in your time frame and/or destination? Sometimes minor adjustments can mean huge differences in the number of miles and points needed for flights or hotels. Before applying for travel rewards credit cards, you must focus on the answers to these questions. 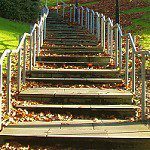 The next steps will be easier because you have clearly defined what your hopes and expectations are. I have my travel goal. What’s my next step? In the beginning, you only need to focus on your travel goals. As you get more comfortable, you can diversify your miles and points earnings across a variety of programs. For now, though, use Google Flight Search and the Wiki pages for the airport you’d like to fly into. You can search the airlines that fly from your home airport to your destination. The Wiki pages will allow you to see which airlines fly into a specific airport and from where. For example, if I want to fly into Vancouver, I would Google search the Vancouver Airport’s Wiki page and scroll down to see the chart displaying the flight routes and carriers. These tools will give you an idea of which airline to focus on to achieve your travel goal. Choose 2 or 3 airlines that fly to your destination and check out their award travel charts to compare the amounts needed to book your flight. Without getting overly involved, here are a couple of things to consider. Does the airline have an off-peak time period for flying to your destination? If yes, and the timing works for you, then flying during this time is likely to be your best option. 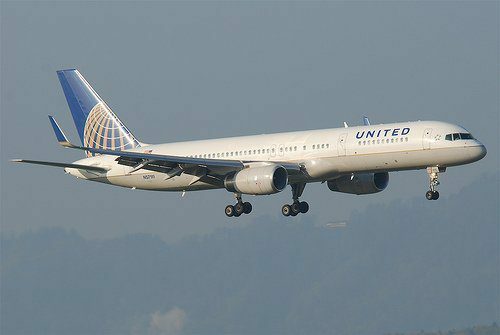 Is the airline a member of an airline alliance? If yes, earning points for that airline is not only useful for that airline, but also for use on their partners’ flights. Once you have an idea about the best airline for your travel goal, you’ll need to investigate travel rewards credit cards and any current hot sign-up deals to see what is right for you. 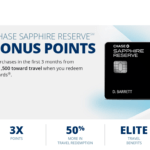 Cards like the Chase Sapphire Reserve, the Citi Thank You Card, and the Starwood American Express tend to be good all purpose cards that earn miles and points that can be used flexibly among a variety of airline and hotel partners. Keep in mind these are broad suggestions and you must ultimately do what’s best to reach your travel goal. After deciding which airline is right, think about where you will stay. What kind of hotel will make you comfortable? TripAdvisor and Booking.com have hotel listings all over the world and are great for researching and booking accommodation. Or, do you prefer to use a site like Airbnb or HomeAway to stay in a house or apartment? If you’d like to stay in a hotel, use Hotel Hustle to see which hotels with award programs are near and at your destination. It has a sliding scale to show hotels available in a particular points range. By clicking on the color-coded pins on the map, you can see the hotel category and the number of points needed per night. On the right side of your screen is a list of the hotel properties. Click on the one you’re interested in to be sent directly to their website. Knowing which hotels are at your destination and where you’d like to stay shows you what type and how many points you’ll need to earn. 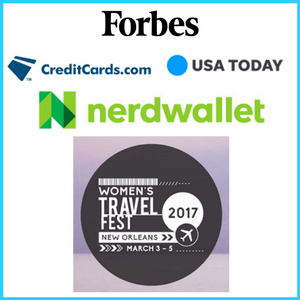 Thinking back to travel rewards credit cards for airlines, does that credit card allow you to transfer points to any hotel partners? For example, Chase has 11 different airline and hotel partners to which you can transfer points. Or, do you need to look into co-branded hotel credit cards to earn free nights or points? These answers will guide your decisions as you work toward your travel goal! You now have an idea of how many miles and points it will take for you to achieve your travel goal. 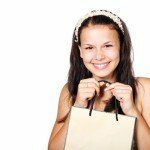 You also have made decisions about which airline and hotel loyalty programs to focus on for this first travel goal. That’s already a big part of what you need to do! 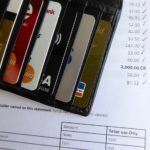 As you begin earning miles and points with credit cards, through shopping portals, and for dining out with dining programs, it’s important to stay organized to know how you’re pacing. One solution is to keep a spreadsheet of your miles and points earnings. 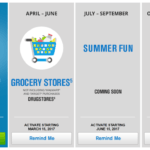 In fact, you can list your account information for each loyalty program you join. When you need to know your account number or login password, simply check your spreadsheet. You can update your account balances in the spreadsheet as you earn more miles and points. 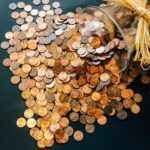 This is a simple way to organize your miles and points earnings. You can also use a free service like Award Wallet to help you keep track of your miles and points accounts and balances. This is a service that monitors most of your travel loyalty program accounts in one place. It also eliminates the need to log into each loyalty account separately. As you meet minimum spend requirements on your travel rewards credit cards, you need to effectively maximize your points earning by using bonus categories to earn even more miles and points. What are your travel goals? How do you keep your miles and points organized?